• Name: Soil Moisture Active Passive observatory, or SMAP. 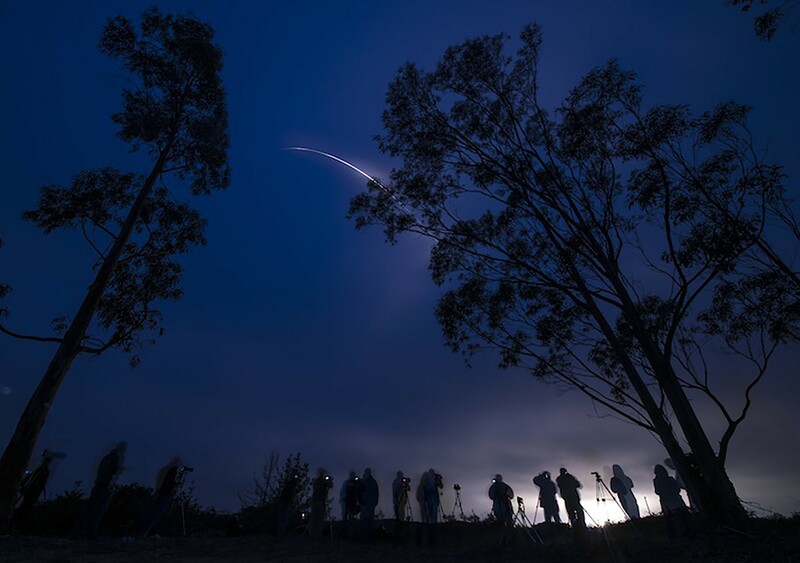 • Launched: Jan. 31 from Vandenberg Air Force Base in California. • Mission: Spend three years measuring water in the top 5 centimeters of soil over the entire planet. A recently launched NASA satellite that is gathering data on the planet’s soil moisture will benefit Arizona decision-makers from the halls of government to fields where farmers need to know when to plant, a project scientist says. The Soil Moisture Active Passive observatory, or SMAP, is orbiting the Earth after its launch at the Vandenberg Air Force Base in California on Jan. 31. It will produce global maps over three years. Susan Moran, a Tucson-based research hydrologist for the U.S. Department of Agriculture who was part of the scientific team that made the satellite a reality, said this is key to more accurate weather prediction, as current methods of measuring soil moisture are often inaccurate. And people all over the world will have access to the data that SMAP will provide. Moran said that right now a group is trying to use data to measure New York City’s water supply, and a project in Germany is using radar and SMAP data to improve sea ice mapping to make navigation safer. “And in the United Arab Emirates, they’re using soil moisture information to predict dust storms, like the ones we have in Phoenix,” she said. Moran said research on dust storms in Africa and the Middle East is showing that better understanding of soil moisture leads to better predictions of the extent and intensity of dust storms. “With that, it will help with traffic planners, health issues and people that need to stay indoors, that sort of thing,” she said. Moran said John Deere Corp. is using soil moisture to help farmers understand when they can bring heavy equipment into their fields to plant. “Not only would a farmer be able to look at the weather and drought related to their own fields … a cotton farmer in Arizona will be able to look at the soil moisture in India and China related to cotton crops, and the (U.S. Department of Agriculture’s) Foreign Agricultural Service is going to give them estimates of cotton yields in those countries, so they can better know when to harvest and how to market,” Moran said. Another benefit is to flood forecasting, including flash flood guidance, Moran said. She said a group in San Diego uses soil moisture data to predict flash flooding in Africa. State Climatologist Nancy Selover said that with Arizona’s drought, the satellite will be especially helpful in giving a good indication of how quickly the soil dries after rain. Those gaps in between points of measurement are currently being estimated. With more accurate information, Selover said that it will be easier to understand the state of Arizona’s drought. “Drought is a difficult thing to deal with because if there’s no impact, it’s hard to say there’s drought,” she said. The data will be available after it’s been validated in six to nine months. When it is, Moran said, it will have a big impact. “It’s really going to make a giant difference in the way people around the world make decisions,” she said. A NASA simulation of the observatory in action. 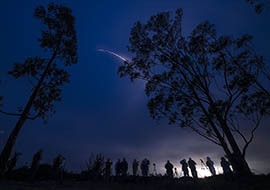 A United Launch Alliance Delta II rocket with the Soil Moisture Active Passive (SMAP) observatory onboard is seen in this long exposure photograph as it launches from Vandenberg Air Force Base in California on Jan. 31.